I give to each patient on a individual basis. My practice is based in Malaga; specifically at the Virgen de la Victoria University Hospital, in Xanit International Hospital, at the Centro Cardiovascular Strachan and in the Clínica Cardiológica Dr. Pérez Lanzac. 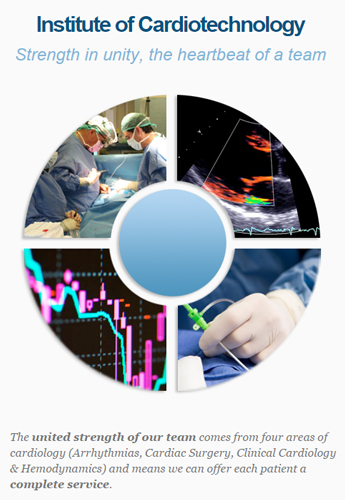 My publications include several reference texts on echocardiography published by the Editorial Medica Panamericana. 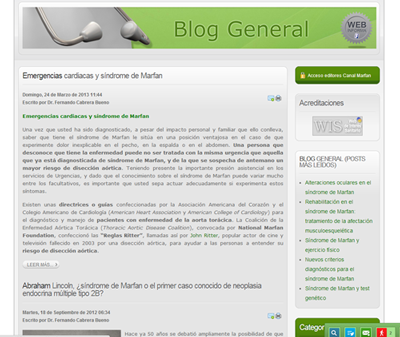 I am also an author and peer reviewer of articles for national and international medical reviews, and coordinator of online projects such as Canal Marfan, an informative website about Marfan syndrome. I am associate lecturer in Anatomy at the University of Malaga and tutor of Resident Medical Interns. I also participate in the training programmes of the IAVANTE Foundation for training and evaluation in professional competence for physicians. Under the recently appointed head of Malaga FC’s first team’s medical staff, Dr. Daniel Rosado, and after this season’s impeccable kick-off led by Juan Ramón Muñiz, I have recently joined the club’s medical team as cardiologist. Certified Expert in Cardiology conferred by the Agencia de Calidad Sanitaria de Andalucía. 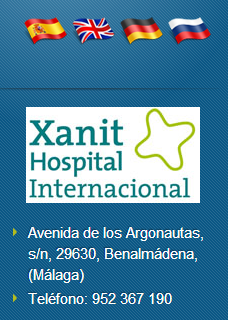 Web platform of the Cardiology Department at Xanit International Hospital (Instituto Cardiotecnológico Andaluz). I have been attending patients in the Cardiology Department of Xanit International Hospital for some years now; I head the Clinical Area and am in charge of the Unit for Prevention of Sudden Death in Athletes. However, my area represents only one link in the chain of professionals who have created and are a part of Instituto Cardiotecnológico. Our slogan is "strength in unity, the heartbeat of a team". 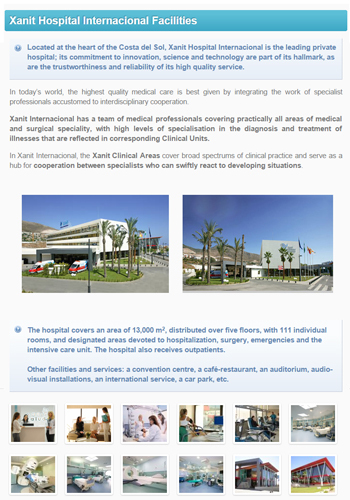 In 2011, we decided to set up a web platform exclusively devoted to Xanit's Cardiology Department; as development coordinator I was responsable for making sure there wasaccurate y multilingual information about the services available to patients, about the Institute's Clinical Units (Arrhythmias, Cardiac Surgery, Clinical Cardiology, Hemodynamics) and access to detailed professional profiles of each member of the medical team. We have gradually added new sections: news, an informative blog written by ICTA members and,a mong others, a full section on hospital facilities with the aim of providing the fullest possible access to information, available to patients 24 hours a day. The Instituto Cardiotecnológico is currently a cornerstone of the medical service at Xanit International, which was awarded the MTIJ prize for Best Hospital in 2011. 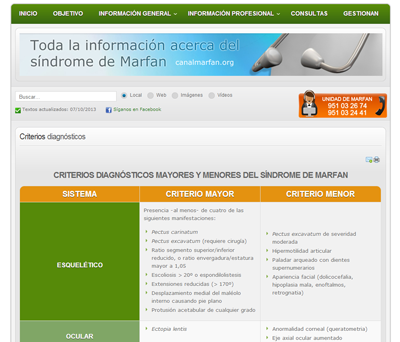 Website about Marfan's syndrome, a reference for information in Spanish about this disorder. 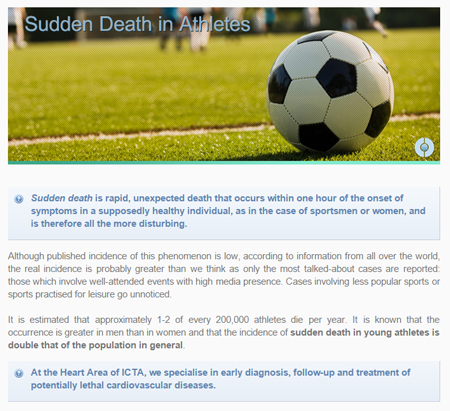 In January 2010, a patient referred from an outpatient visit with a possible diagnosis of Marfan's syndrome pointed out the difficulty of obtaining reliable online information in Spanish about this rare heritable disorder, which affects the connective tissues and may have major consequences on sight, the skeletal and cardiovascular systems. This particular patient was eventually found not to have Marfan's. However, I have treated other patients who suffer from the syndrome and who also lacked access to reliable information on the subject. My decision to implement the Canal Marfan project stemmed from this need for an informational website about Marfan's, which I finally developed both for patiens and healthcare professionals . 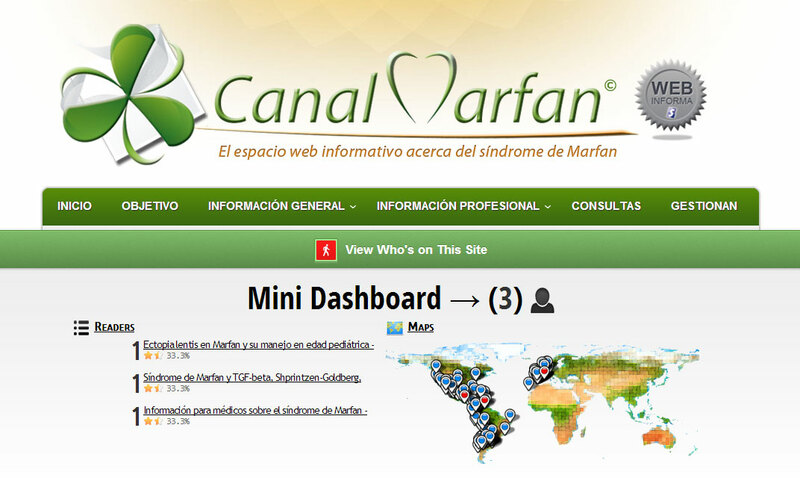 Canal Marfan is currently a reference website for information on this syndrome in Spanish, with over 500 000 pages viewed per year and visitors from all over the Spanish speaking world . It strictly complies with the Honcode international code of ethics and other certifications that guarantee the quality of the information it provides. My main objective of providing information has been achieved, although there is always more to be done. I should also add that Canal Marfan would not have been possible without the cooperation of a numerous group of specialists in other medical fields, as this syndrome requires a multi-disciplinary approach. I currently see patients in a Marfan-specific clinic held at the University Hospital of Malaga and I have given presentations at various other hospitals about how to start up units to cater for these patients. Presentation of my book "Guía de Ecocardiografía"
Presentation of "Guía Esencial de Ecocardiografía"
The most exhaustive work on echocardiography, endorsed by the Sociedad Española de Cardiología.